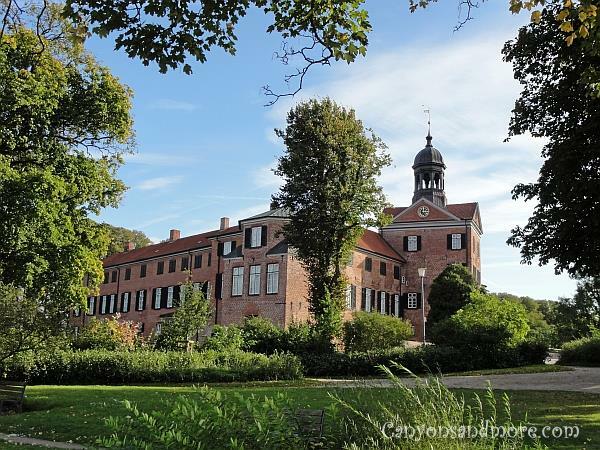 Eutin (pronounced like “Oi teen”) is located in the county of Ost-Holstein which is in the state of Schleswig-Holstein. It is a charming and historical town to walk through and has some attractions that are worth visiting while there. 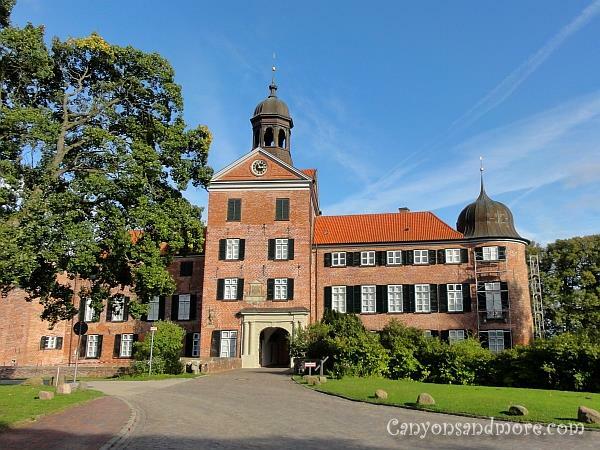 During the summer, Eutin is also well visited because of the Eutin music festivals (opera music) that are held at the open air theater at the castle. 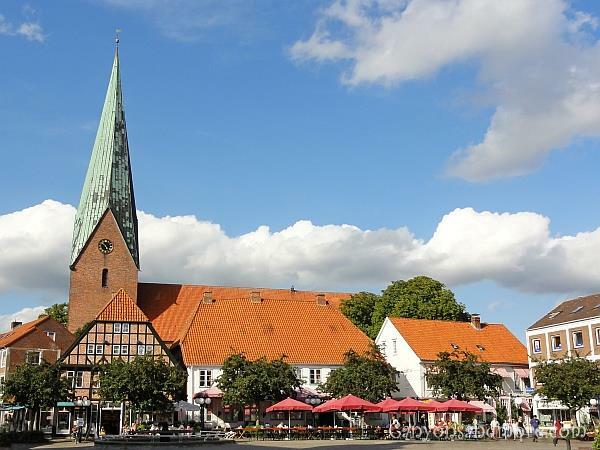 The image above is the market square of Eutin. During the summer it is a pleasant area to sit outdoors at one of the cafes and enjoy a cup of coffee or tea. 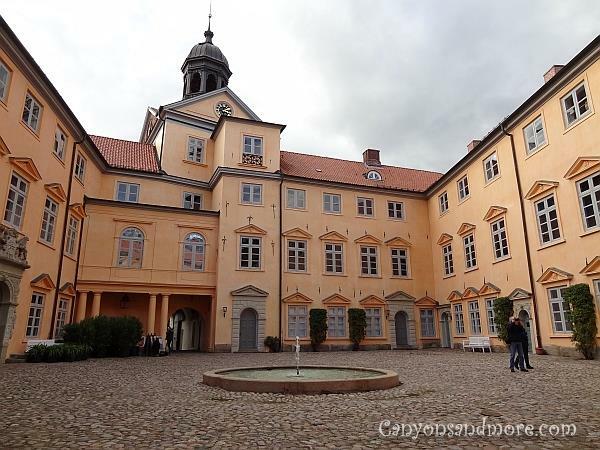 This the front of the Eutin Castle which dates back to the 12th century. From this point, you can pass through the main entrance and enter the courtyard. From there, you will find a few doors, one door leads you to the inside of the castle if you would like to visit the museum for small fee. The museum is located in several castle rooms. Here you will find several hunting collections, horns, works of art, ceramics, historically furnished rooms and a chapel. You may be asked to wear slippers over your shoes (these are provided to you) to protect the flooring of the castle. This is the castle courtyard. You do not have to pay any entrance fees to see this area. The grounds around the castle are lovely to walk around. You will find beautiful gardens that you can visit all year round. 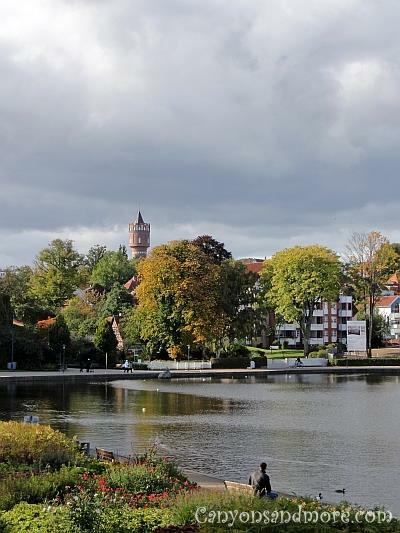 The castle is located along the Large Eutin Lake. Here you can walk along the waterfront and enjoy the nature around you. In the distance you can see the water tower, which is 38 meters high. In the summer months you can visit it and climb up the tower to enjoy the view over the city. 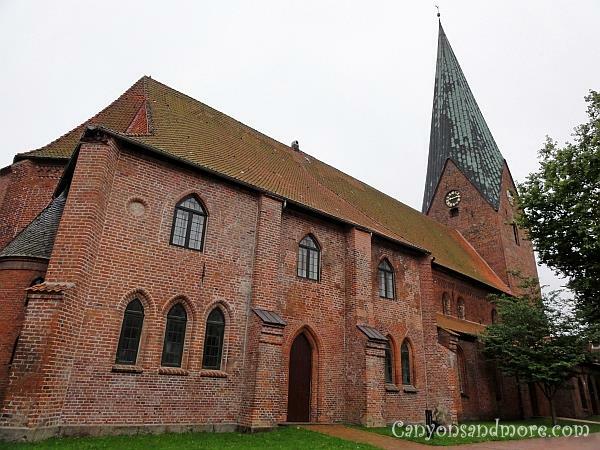 The St. Michaelis Church was built in the early 13th century. This is the corner of a arts store located on the corner of “Twiete” and the Stolbergstrasse, which is the road leading towards the castle. 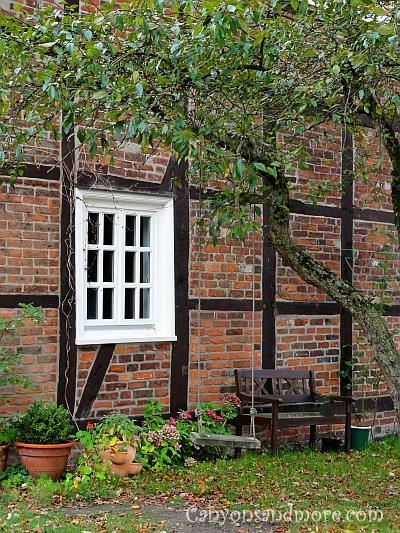 This is another beautiful and well kept half-timbered house in Eutin. 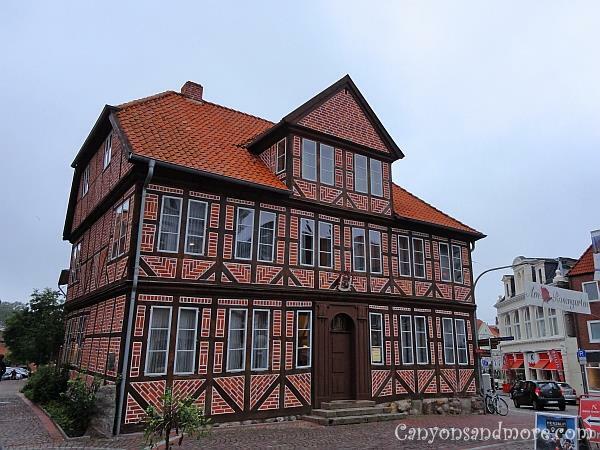 You will find several houses of this architectual style in this town. When walking from the market square to the castle, or the other way around, you almost automatically come to “Twiete”. It is a small alley with a few small boutiques and is really delightful to walk through. 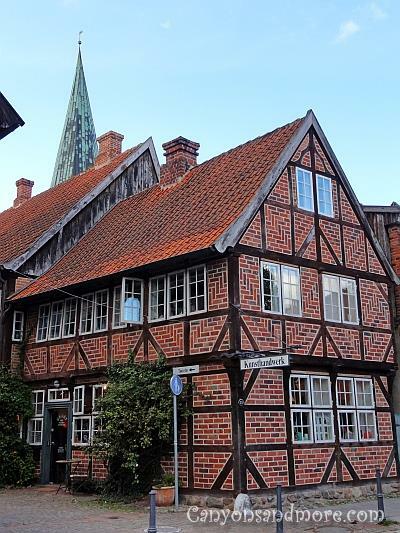 You can admire the half-timbered buildings which give this street a special appeal. During the Christmas season, this small area is also very festively decorated. 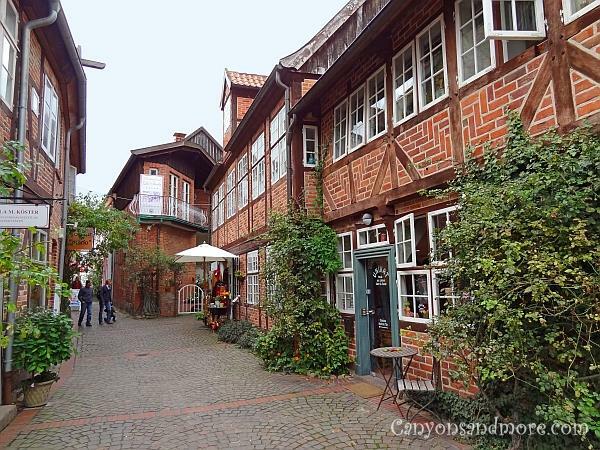 Here you can find images and read about Eutin at Christmas and also find an image of this street decorated for the holiday. During summer the roses are in bloom and line the gates and fences and crawl up the walls of many of the homes in the area. It looks quite romantic.